Looking for a new summer dress? This asymmetrical shoulder-strap dress - the Monica, is perfect! 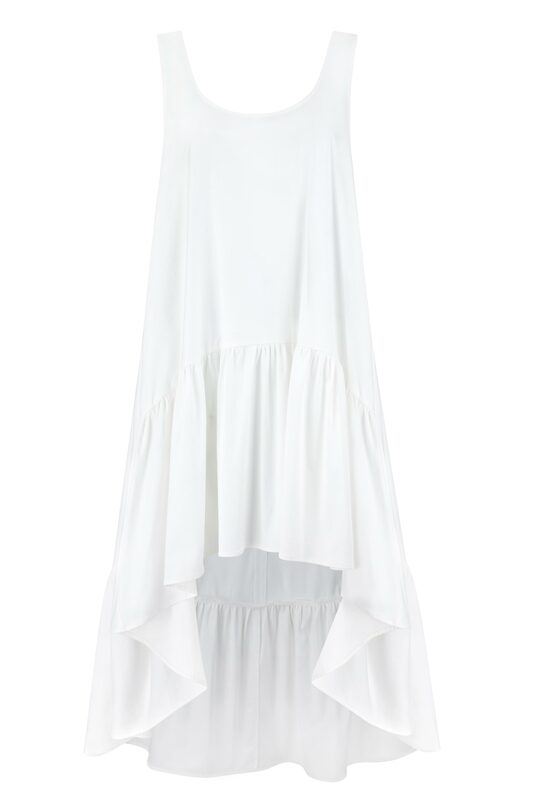 Finished with romantic frills at the bottom, this oversized dress provides comfort and elegance at the same time. It is the best outfit to wear on a daily basis or for a date with your loved one.